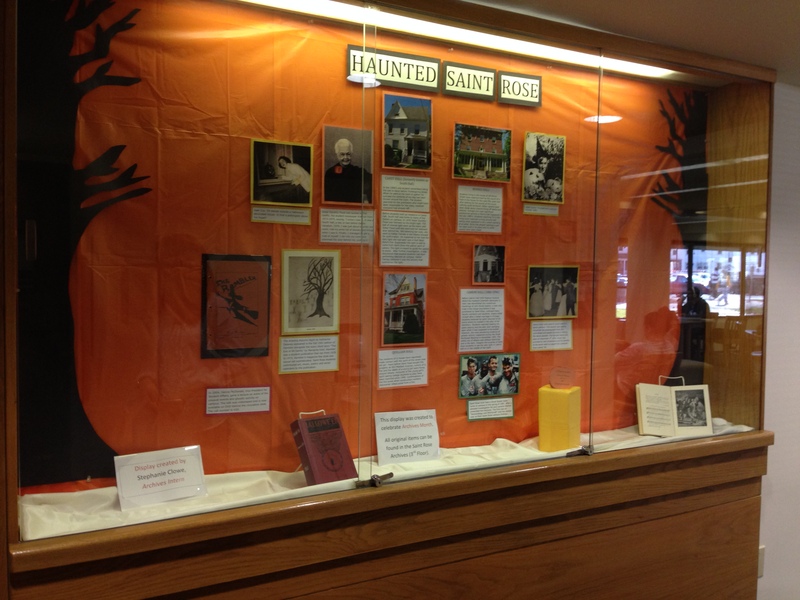 Check out the archives Haunted Saint Rose display in the Neil Hellman Library to learn about paranormal activity on campus and Halloween traditions of the past. Reports of ghosts and other unsolved mysteries have occurred over the past 50 years. Visit the library to decide if you believe… Or listen to current and recent students talk about their ghostly experiences on campus in the digital Oral Histories Collection on the archives website. Very cool, thanks for putting up the display. I’ve had so many ghostly experiences in the halls of Brubacher! This sounds great.